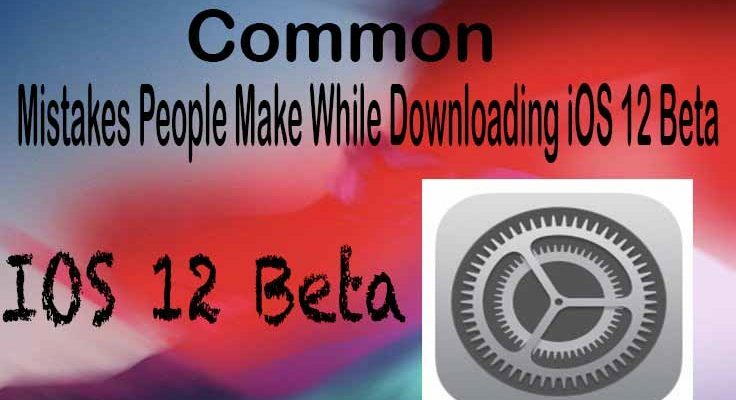 People Make A lot of Common mistakes while downloading iOS 12 beta profile so to be sure you don’t do that mistake you have to read this and get the information before downloading iOS 12 beta Profile. 1: when ever a Person gets the link for downloading the profile they click on it eventually its wrong. 2: while installing the profile people don’t see that this profile is real or fake and thats the biggest mistake they make and end up getting virus on their phones because of that virus their personal information can be transferred without their permission like Credit card , Phone Number Messages etc. 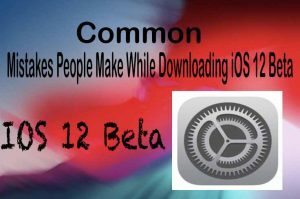 3: sometimes your apple device is not supported and you still trying to download iOS 12 profile will its not possible if your device is not supported and you are trying to install iOS 12. so make sure your device compatible of running iOS 12 here is a list will will show you that your device is compatible. copy the Link and paste it in you safari web browser and download the profile if you do it properly you won’t get any random works in your browser and the profile will be installed on your iPhone , iPad. Always check your profile by going in to the profile and see the expiry date and check that it as Apple.Inc Copyrights and carefully read the profile if you see anything out of the topic just delete the profile immediately.